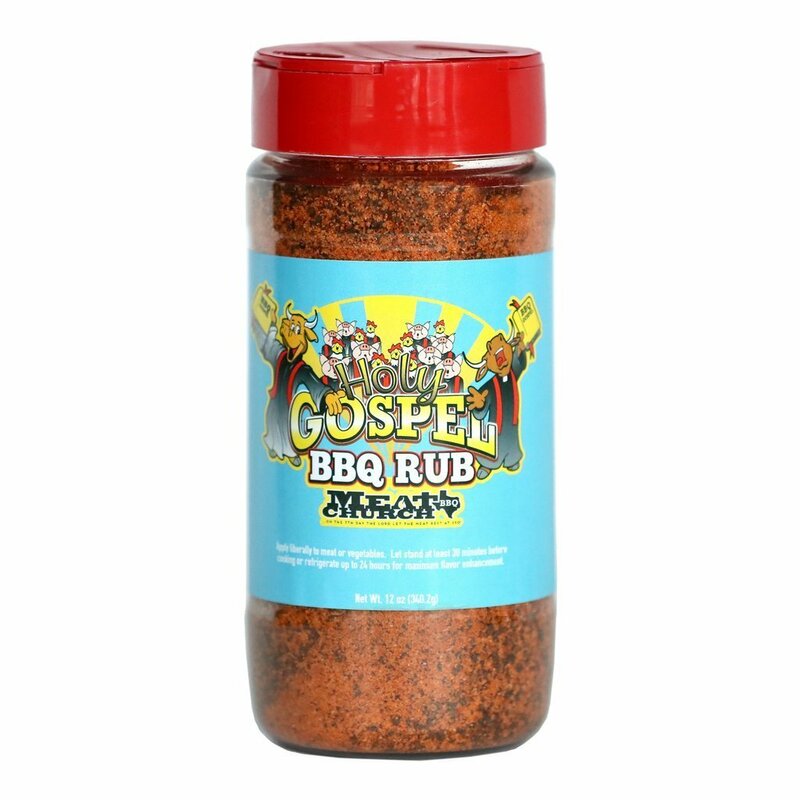 The Holy Gospel Limited Edition BBQ Rub. A mashup of our popular Holy Cow beef seasoning and The Gospel All Purpose rub. NO, it's not 50-50. This took tons of test cooks to get it right. We saw plenty of folks mashing two rubs together plus acted on customer feedback of Holy Cow being too much of a black pepper punch or Gospel needing a little more. Whatever the case, this blend is great on ribs, chicken and beef! Available in a 12 oz bottle, 1 lb. re-sealable bag or 5 lb. bag. Ingredients: Sugar, salt, spices including paprika, dextrose, dehydrated garlic, celery, silicone dioxide & spice extractives. Gluten free. No MSG.